This Black Canon compatible PGI-2500XL-BK MB5150 ink cartridge is refillable and will slash your printing costs. 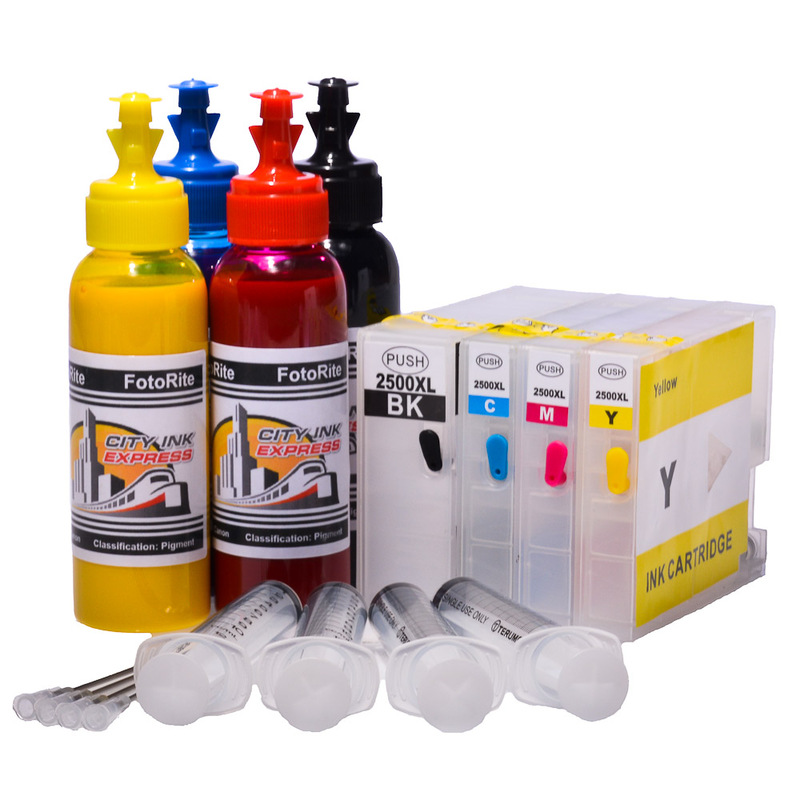 Cheap running ongoing refill costs from just £5.76 per cartridge. 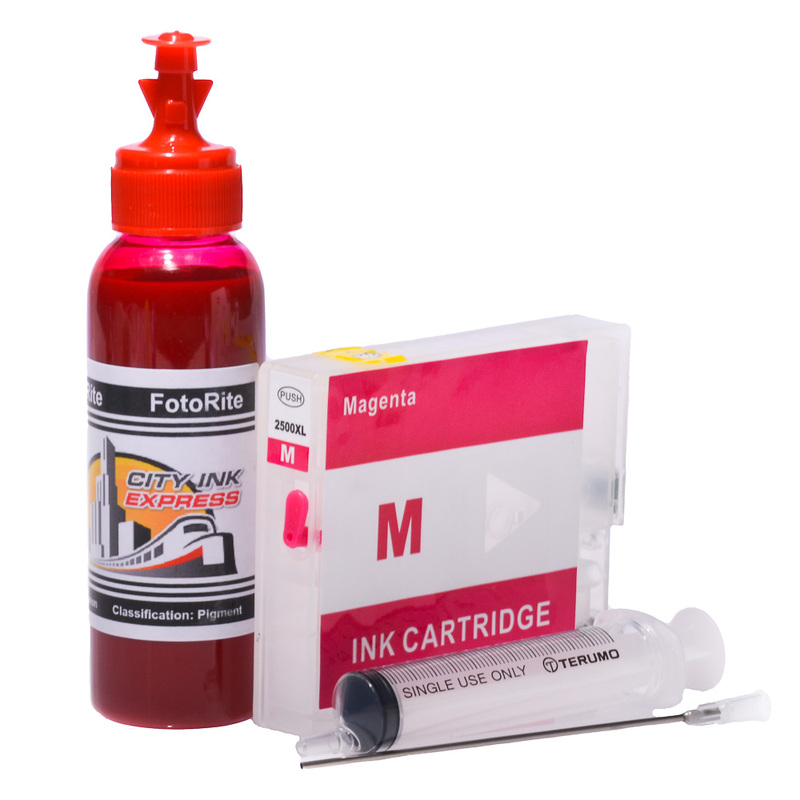 It comes with full instructions a syringe and long needle for each PGI-2500XL-BK Black MB5150 ink cartridge. They cut down on ink cartridge recycling as you can use them over and over again. 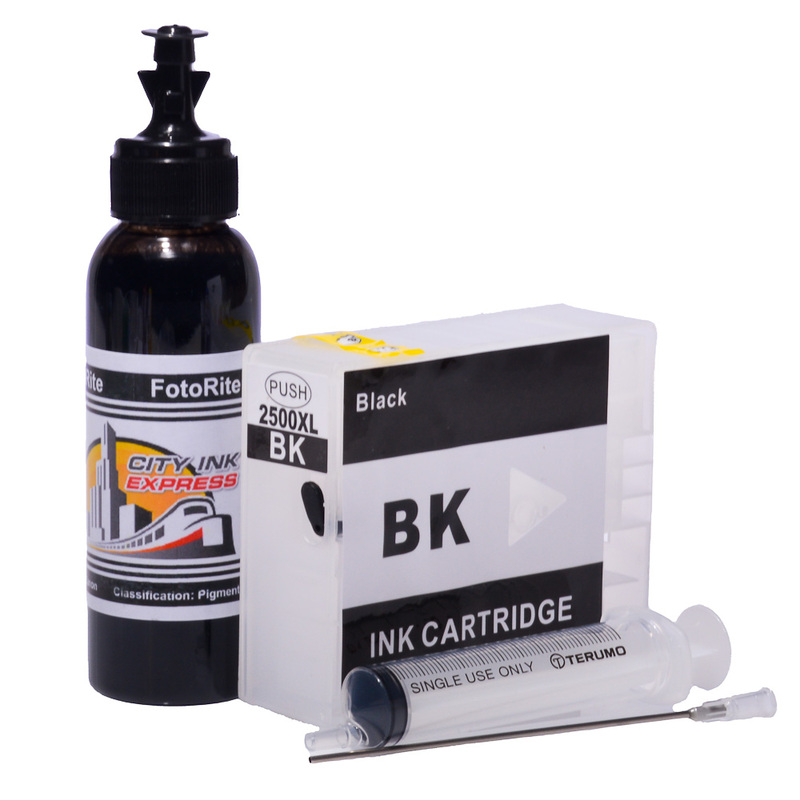 We offer a 12 month warranty on our Canon compatible PGI-2500XL-BK Black MB5150 ink cartridges. They are mess free Canon PGI-2500XL-BK Black MB5150 ink cartridge designed to be refilled and to save you money PGI-2500XL-BK Black MB5150 ink cartridge refilling is easy with our refillable printer ink cartridges they can be refilled 100’s of times . 1.5 Black = 1 refillable ink cartridge in total. 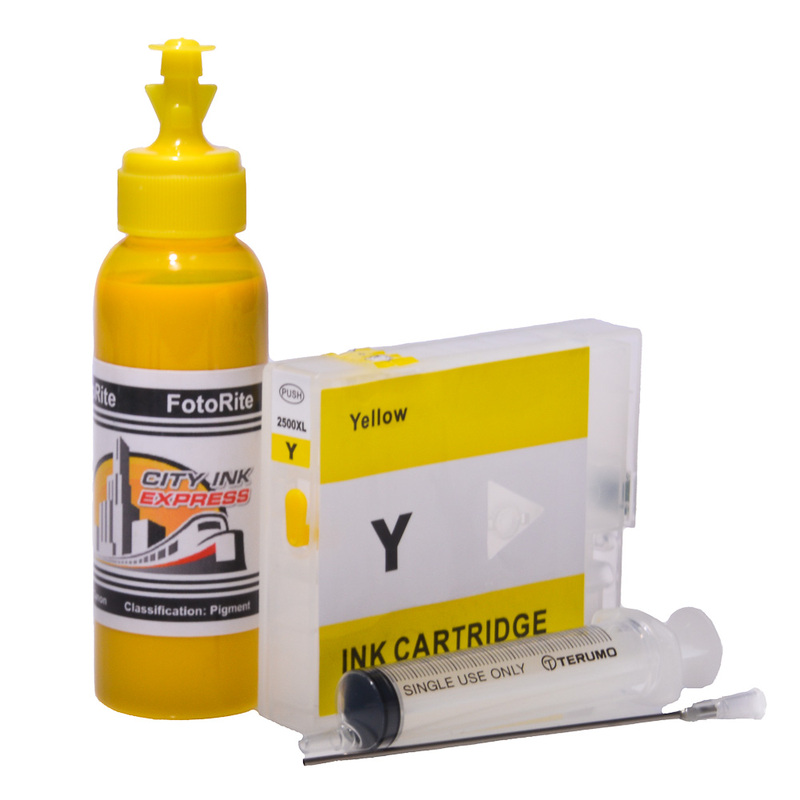 To fully refill the system with 100ml of ink costs under £8.40 which makes the running cost per refillable ink cartridge less than £5.76 pence.